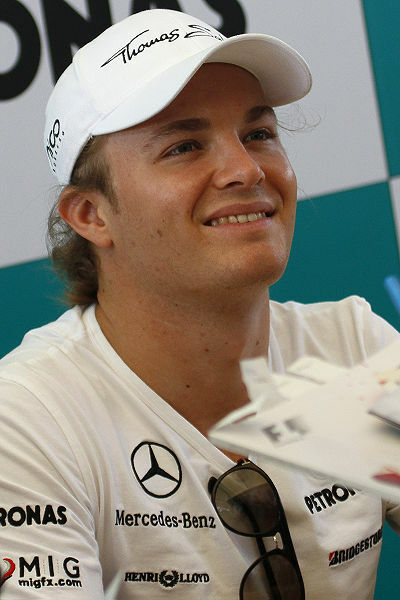 111 – Nico Rosberg won the Chinese GP in Shanghai, his first Formula 1 win in his 111th race. His father Keke won five Grands Prix from 1982 to 1985, including the drivers’ title in 1982. 3 – The first three Formula 1 races of this season have been won by three different drivers: Jenson Button (Australia), Fernando Alonso (Malaysia) and Rosberg (China). But the championship is led by Lewis Hamilton, who has finished third in each of the three races. 51 – Neptune Collonges became the first grey to win the Grand National since Nicolaus Silver in 1961, 51 years ago. 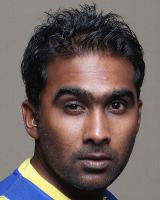 2,000,000 – Sri Lanka’s Mahela Jayawardene scored the two millionth run in Test history en route to his 31st Test century on day one of the second Test against England in Colombo. 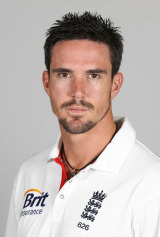 1 – Having lost all four previous Tests on their winter tours of Pakistan and Sri Lanka, England finally won in Colombo, as Kevin Pietersen hit 151 and 42 not out to lead England to an eight-wicket victory. 6 – In a race which had to be restarted halfway because of the intervention of a swimmer in the river, Cambridge won the 158th Boat Race to maintain their perfect record of having won on all six occasions when the event has been held on April 7th – although victory came courtesy of Oxford suffering a broken oar in a clash shortly after the restart. 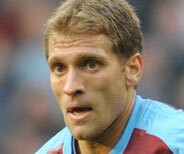 32 – Age of Aston Villa captain Stiliyan Petrov, who was diagnosed with acute leukemia last week. 56 – Jail sentence (in days) handed down to 21-year old student Liam Stacey, who made malicious and racist posts on Twitter in the wake of Fabrice Muamba‘s on-pitch heart attack two weeks ago. 1 – Sri Lanka beat England by 75 runs in the first Test at Galle to record their first win on home soil since Muttiah Muralitharan’s retirement in July 2010. There’s plenty of sporting action to look forward to in April, with the race for league titles and both domestic and European cup competitions in football, the first of golf’s majors, the conclusion to what has been a pretty dismal pair of winter tours for England’s cricket team, and action of both the four and two-wheeled variety, including cycling’s Track World Championships from Melbourne. 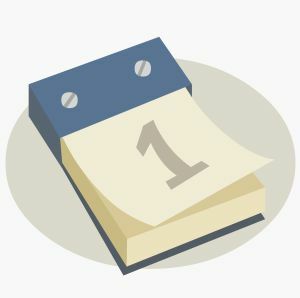 It promises to be a busy, varied and exciting month. Here are five of the best which will be occupying my attention this month. The protracted opening round of the Aussie Rules season concludes with its final two games today, including a 2012 bow for my team, the West Coast Eagles, who travel to the Western Bulldogs hoping to consolidate their remarkable turnaround of last year. Having missed the playoff finals series for the third straight season in 2010, winning just four of 22 games to finish 16th and bottom of the ladder, they improved to 17-5 last year to finish fourth overall. Sadly, they fell to eventual champions Geelong in a one-sided preliminary final (effectively the semi-final round), but still had a lot to be proud of. It’s easy to mock Aussie Rules as a poor man’s cross between rugby and Friday night pub-brawling, but followers of the sport will appreciate the skill, strength and stamina of its participants (who can regularly land 50-metre kicks on a sixpence) and its no-nonsense approach. You won’t see any of the histrionics or cheating which have become part and parcel of football in recent years, that’s for sure. The Augusta National course, golf’s equivalent of a gladiatorial arena, rarely disappoints – and it surpassed itself last year. South African Charl Schwartzel claimed his maiden PGA Tour victory and his first major with a stunning final round 66. But he would never have had a sniff at the title had Rory McIlroy not self-destructed in spectacular fashion at the same time. Having led after each of the first three rounds and started the final 18 holes with a four-shot lead, the young Northern Irishman unravelled on the back nine, taking a triple-bogey on the 10th hole and then four-putting his way to a double-bogey on the 12th as he finished ten shots behind the winner. The collapse would have destroyed a lesser man than McIlroy. Instead he went on to capture the US Open two months later and briefly claim the world number one ranking earlier this year. Schwartzel also proved he was no flash in the pan, with top-12 finishes at both the US Open and US PGA. If we have a finish half as dramatic this year, we will be in for a treat. April is Spring Classics month in the cycling world, taking in several of the biggest one-day races on the cycling calendar. It is a month of cobbles and hills and sometimes cobbled hills, which is tailor-made for the all-round hard men of the sport – pure sprinters and climbers need not apply – riders such as Fabian Cancellara, Philippe Gilbert and Tom Boonen. From the Tour of Flanders (1st) to Liege-Bastogne-Liege (22nd), this three-week period invariably throws up some of the best racing of the year, cementing reputations and creating new legends. Paris-Roubaix is many fans’ favourite – it is not affectionately called the ‘Hell of the North’ without good reason. A 258km route through northern France contains 27 sections of bone-jarring cobbled roads which provide the perfect platform for bold attacks, race-killing punctures and high drama. It is a gruelling, punishing race – others are longer, but none is tougher. Boonen is a three-time winner here, while Cancellara has won twice. Last year Cancellara was marked out of contention by his main rivals – he still finished second – as Garmin-Cervelo’s Johan Vansummeren escaped alone up the road to score a breakthrough win. Expect similar drama this year. The third race of the 2012 Formula 1 season takes the grid to Shanghai for the ninth running of the Chinese Grand Prix. After Jenson Button’s season-opening win in Australia, Fernando Alonso took his Ferrari – which this year is more of a dog than a prancing horse – to victory in a rain-affected Malaysian GP. The Spaniard leads the standings with 35 points, five ahead of Lewis Hamilton and ten ahaed of Button, with reigning double world champion Sebastian Vettel languishing in sixth as he struggles to get the maximum out of his new Red Bull. Hamilton won last year’s race to become the first two-time winner in China, but previous race winners include Button, Vettel, Alonso, Michael Schumacher and Kimi Raikkonen, all of whom will line up on the grid again this year. Chelsea are the Premier League’s sole representative in the quarter-finals, whose second legs take place on the 3rd and 4th, and look well placed to progress after their 1-0 away win at Benfica last week. However, most people ‘s attention will be on Barcelona ahead of the semi-finals, which will be played on consecutive mid-weeks later in the month. With Real Madrid already 3-0 up from the away leg of their tie with Apoel Nicosia and Bayern Munich taking a 2-0 away victory into their second leg against Marseille, it is the defending champions whose status remains in the most doubt. A 0-0 draw away at AC Milan was not a bad result, but nonetheless they have minimal margin for error if they want to keep hopes of an all-La Liga final alive. As an aside, all four seeded teams kept clean sheets in the away legs of their quarter-finals, a remarkable achievement. 4 – Kevin Pietersen hit 130 as England won the fourth one-day international against Pakistan by four wickets to complete a series whitewash. England batsmen scored centuries in each match, with Pietersen and captain Alastair Cook registering two each. 2 – Liverpool won the Carling Cup 3-2 on penalties after the game finished 2-2 in extra time (1-1 after 90 minutes). But it wasn’t a good day for the Gerrard family. Liverpool captain Steven Gerrard saw the opening spot-kick of the shootout saved, while cousin Anthony missed the target with the final penalty. 45 – Including extra time, Liverpool had 45 shots in the game, an average of one every 160 seconds. 20 – Wales secured their 20th Triple Crown with a dramatic 19-12 Six Nations win at Twickenham to follow their previous wins over Ireland and Scotland. Scott Williams scored the only try of the game with five minutes left, but England’s David Strettle had a last-gasp try controversially ruled out as officials decided he had not grounded the ball. © Tim Liew. Unauthorised use and/or duplication of this material without express and written permission is strictly prohibited. Excerpts and links may be used, provided that full and clear credit is given to the author and The Armchair Sports Fan blog, with appropriate and specific direction to the original content.